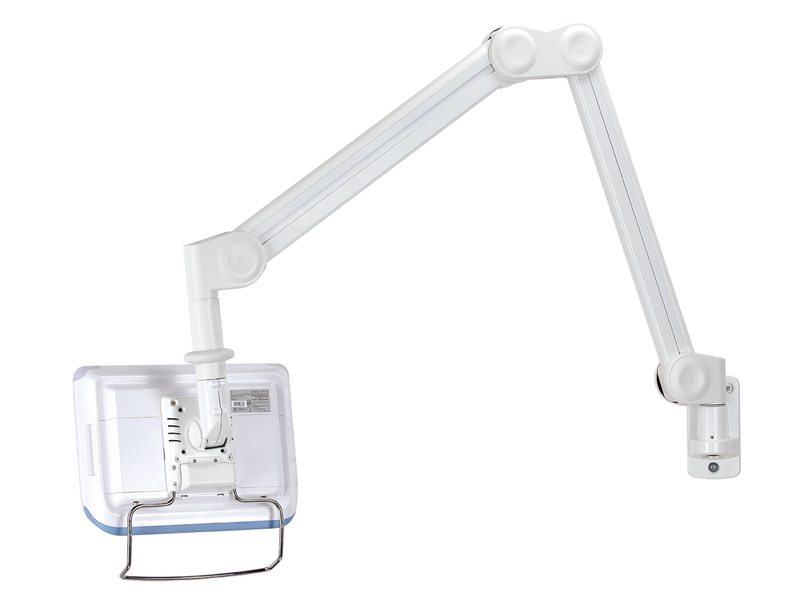 Hospital Arm HA-501, is a monitor arm perfect for health care environments or in manufacturing/assembly facilities. 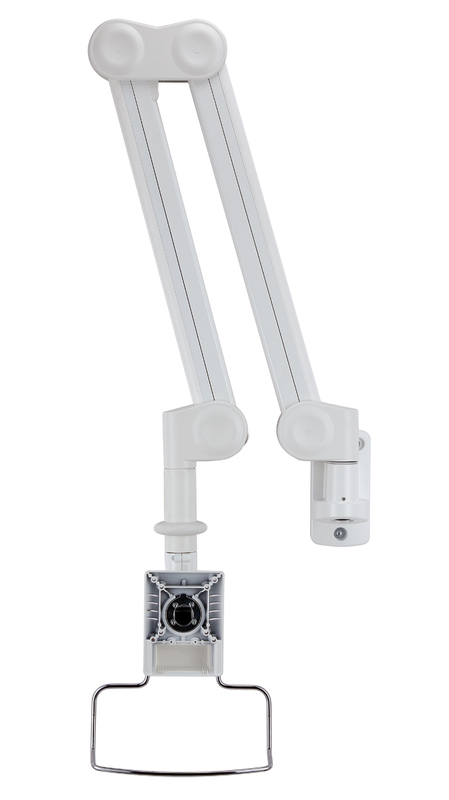 This long-reach monitor arm is a cost-effective and space saving solution, it also improves the ergonomic work environment because it easily adjust to the person using it. 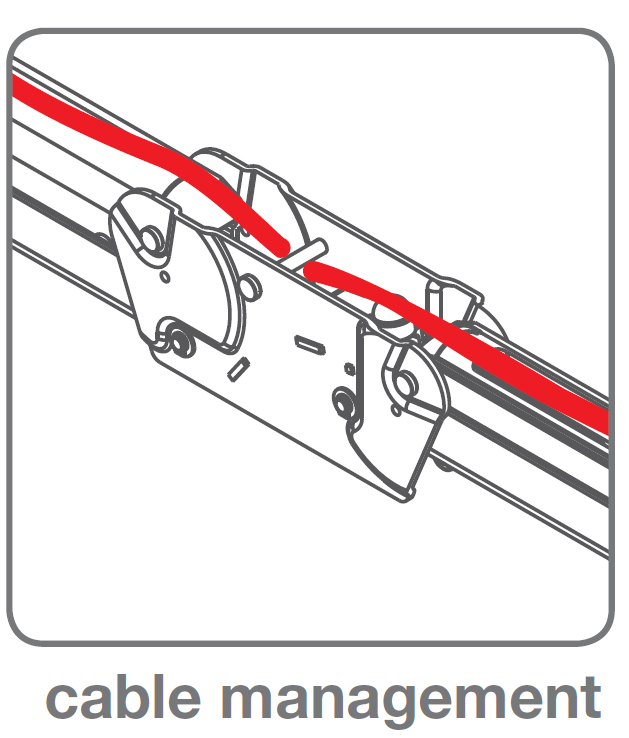 The hospital arm HA-501 has a straight horizontal reach of maximum 1774 mm (177,40 cm. ), and completely folded it only uses apx. 35 cm. in space depending of the mounted screen. 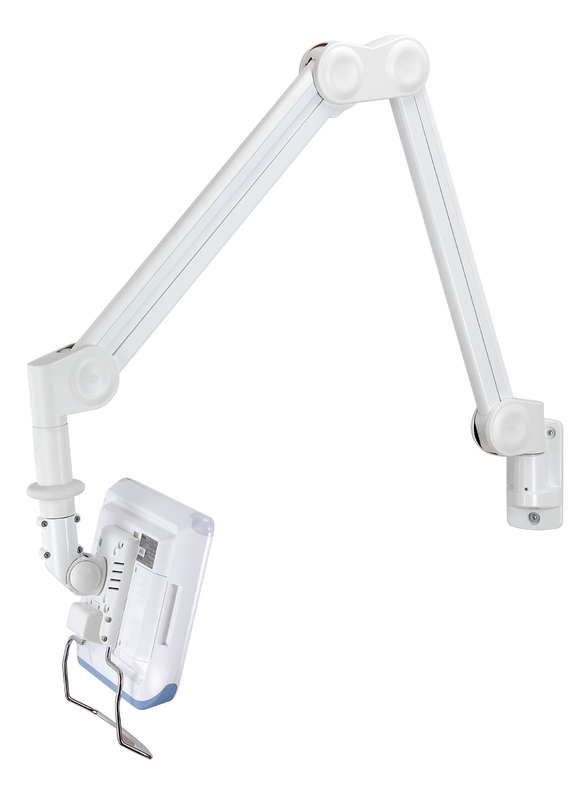 This monitor arm is designed to be used in hospitals or dental/medical clinics. Mounted to the wall this arm gives plenty of opportunities to be moved around either a monitor arm for beds in hospitals so patients and nurses/doctors can use it. 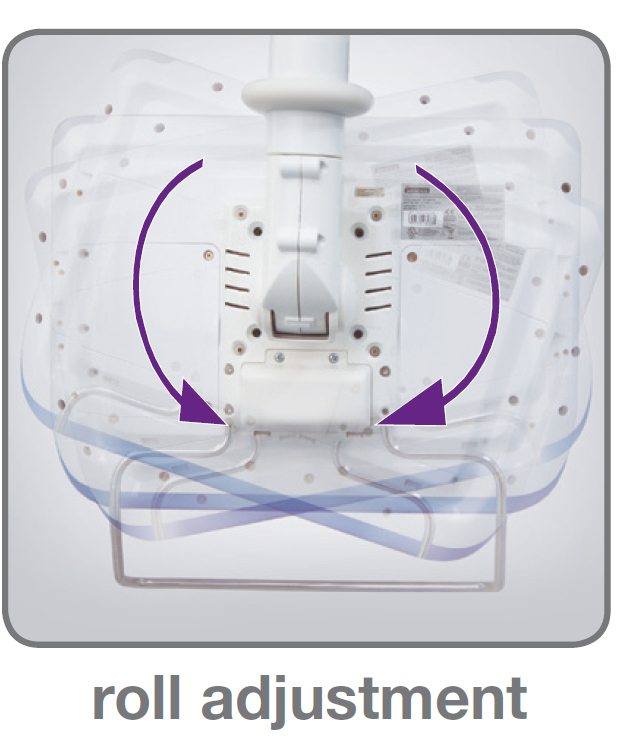 The mounted monitor can be rotated 370° and tilted 55° to allow optimal viewing angel for the user. It easy to use, can be operated with one hand thanks to the double gas spring design. All cables are routed to the arm thanks to the built in cable management and it is easy to clean. 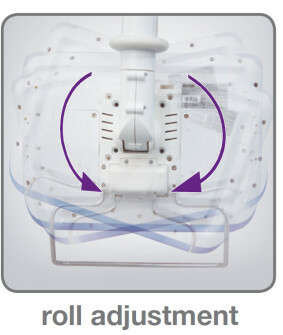 Ergonomic design to accommodate the largest range of doctors, nurses and patients. It is designed for sitting or standing work by doctors/nurses and the patients can use it from laying in the hospital bed. 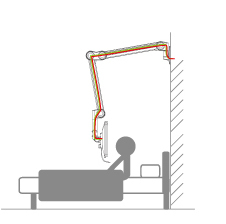 The height and position of the arm can easily be adjusted by using one hand because of the double gas spring design. It can be used with many different screens even widescreen and touch screens with a maximum weight of 7 kg. 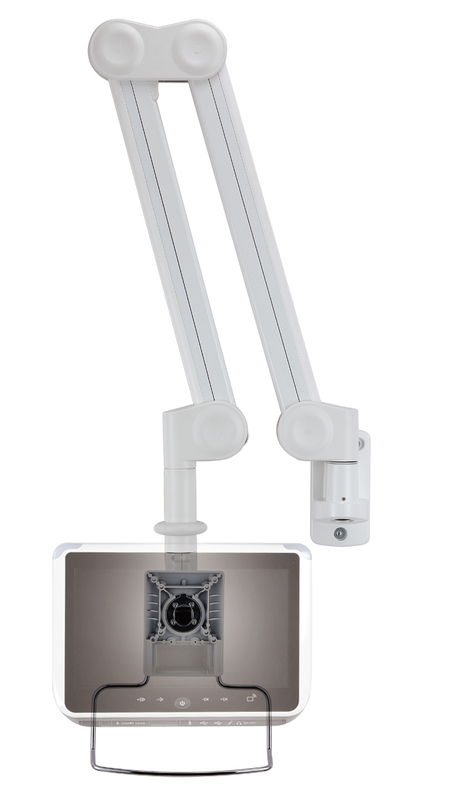 The screen must have a VESA mount 75 x 75 mm / 100 x 100 mm or ells a special mounting plate is needed. 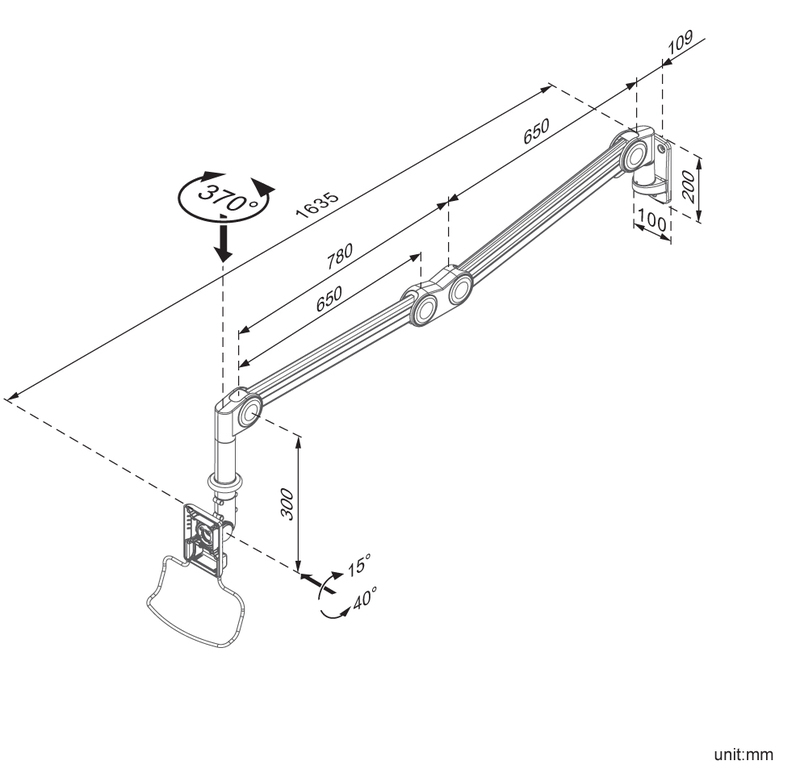 • Double gas spring assisted arm helps easy adjustment. • Weight capacity: 1 – 7 kg. 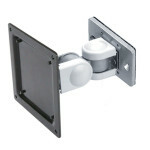 • Vesa standard 75 mm x 75 mm / 100 mm x 100 mm. 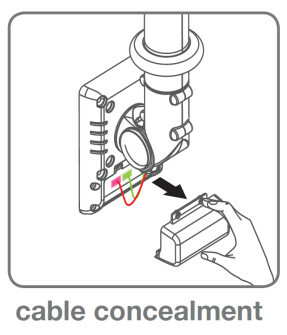 • Comes with installation instructions.